As the evil Aldrich Killiam in Iron Man 3, time traveller Alexander Hartdegen in The Time Machine, Matt Thompson in The Hurt Locker, King Edward VIII in The King’s Speech or as drag queen Adam/Felicia in The Adventure of Pricilla, Queen of the Desert, Pearce has played diverse yet convincing characters. While he may be one of the world’s most recognisable faces, Guy Pearce’s true passion is music. Melbourne musicians talk about the depth of Pearce’s passion for music. Pearce is no popstar. His music recalls Crowded House and Radiohead. ‘Broken Bones’ the album was recorded in New Zealand at Neil Finn’s Roundhead Studios with Split Enz keyboard player Eddie Rayner. When you get past the name and absorb the sound, ‘Broken Bones’ is a quality music project. 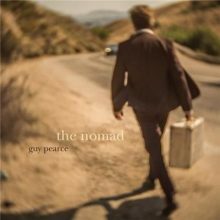 Guy Pearce dropped by Noise11.com to talk about his new album ‘Broken Bones’ with Paul Cashmere.